Your wedding is one of the biggest days of your life, why not have a little fun the night before with everyone part of your special day. We offer a lot of different options to make sure your rehearsal dinner is perfect. 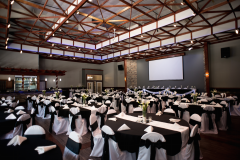 With all different sizes of party rooms available we are able to accommodate any size of party. And being the largest entertainment center in the area there is something for everyone to do after dinner and rehearsal.